Savage Bloggers Network and Fabled Environments are excited to announce the winners of the Fabled Environments Giveaway Contest! Set in a far future post-apocalyptic version of New England filled with magic, psionics, artifice, alchemy, and divine power from nine gods, as well as new humanoid races, the party fights against lizardmen and other parties from rival cities to recover ancient stones from a ruined mall holds unlooted powerstones (diamonds)! Set in 1926 Buchanan, MI, a group of Boy Scouts and their Scout master camp near an old dense forest curious about the strange sightings and noises at night only to discover an old church where strange things are afoot. Strangeness is abound when college students go missing after the launch party for a new energy drink, Spidermonkey, and the clues lead back to the location of the party, the bowling alley, and its owner. Congratulations to the winners, and a big thank you to everyone who submitted an entry! Fabled Environments will be reaching out to the winners regarding their prizes and next steps for working on those one-sheet adventures. Be sure to keep listening to the podcast for possible contests in the future. New SBN Podcast: Simply Savage! 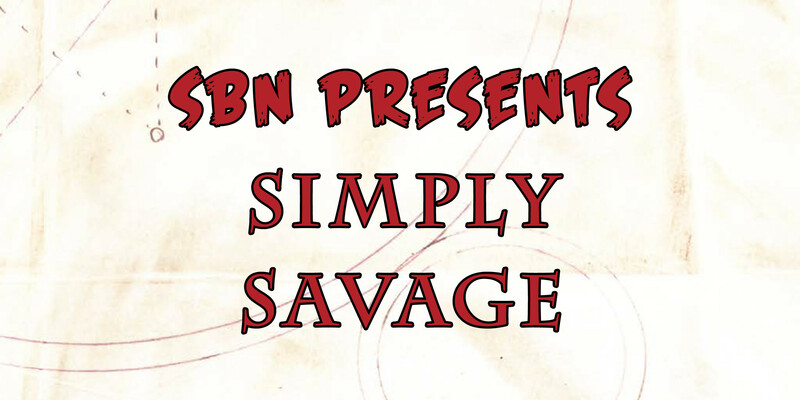 The Savage Bloggers Network presents Simply Savage , a new Savage Worlds podcast in which Ron and Kristian will discuss ways to keep the Savage Worlds tabletop role-playing game fast, furious, and fun! In Simply Savage , Ron and Kristian will talk about a chosen topic for approximately 15 to 20 minutes in length, sticking to our short format you’ve come to love. The podcast will release as topics come to mind, but no more than weekly and only if we really feel we have something worth talking about (we don’t want to waste your precious limited free time). The SBN Podcast previously contained the main SBN podcast episodes as well as the occasional SBN Hangouts on Air . This will remain the same, and Simply Savage will be added into the mix, too. To distinguish the content, we will be modifying the titles of the episodes to indicate with which show each podcast release is associated. With that in mind, we’ll be explicitly naming the default SBN podcast episodes with a new podcast name– SBN News ! SBN News episode numbers will continue with the current progression as well. For those who are only interested in specific shows, we’ve made available separate feeds for SBN News , Simply Savage (when the first episode releases), and SBN Hangouts on Air . That means you can subscribe to the content in which you’re most interested. For a list of all subscription options, visit our podcast subscription page where you’ll find links to the full SBN Podcast feed as well as the separate show feeds. Fabled Environments and the Savage Bloggers Network are excited to bring you the Fabled Environments Map Giveaway Contest. The rules for entry are simple. Pick one or two maps from Fabled Environments’ current catalog with which you’d like to run encounters or an adventure. In 250 words or less submit a summary of the encounters or adventure. Submit your entry via email to contact@savagebloggers.net with the subject “FE Giveaway Entry” (or just click that email link). Entries must be submitted by September 8, 2015! Three entries will be selected to win one of the prizes below. The first place winner will receive a copy of the full Fabled Environments Current Catalog – 7/15 Bundle. 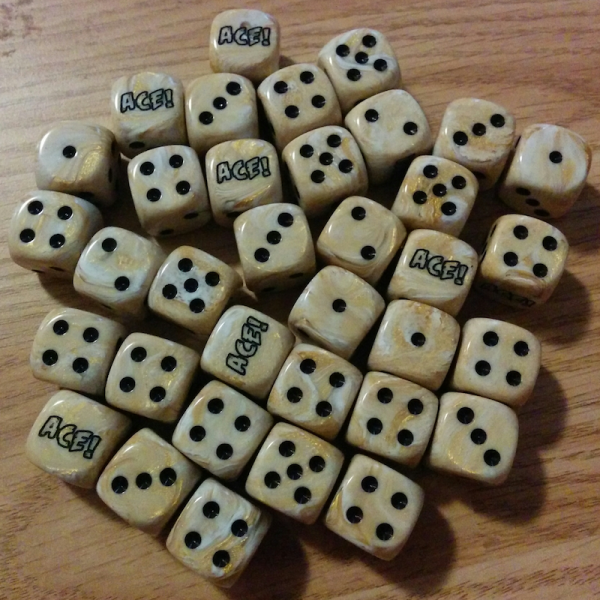 The third place winner will be allowed to choose one of the Kickstarter map packs among the second place prizes above. Each of the winning contestants will have the opportunity to write up a one-sheet adventure based on their submitted summary to be published by Fabled Environments with full credit to the authors! If you have any questions, please do not hesitate to use the email link above to reach us.